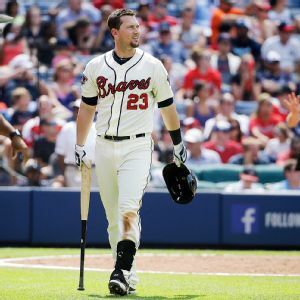 Rapid reaction from the Atlanta Braves' 5-3 victory over the New York Mets on Friday. In a move that seemed inevitable, the Miami Marlins released veteran Reed Johnson, who was the odd man out in an outfield that added Ichiro Suzuki over the winter. Rule 5 pick Sean Gilmartin likely to make Opening Day roster for the New York Mets as part of bullpen. 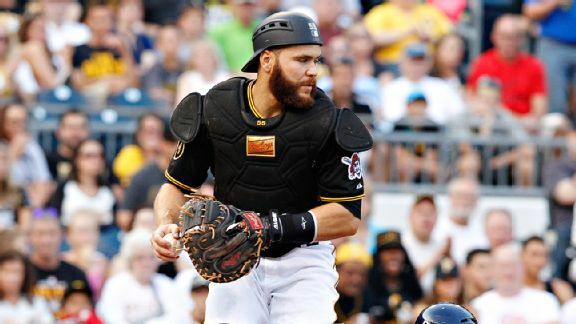 The Dodgers could look at pairing free agent Russell Martin with A.J. Ellis behind the plate. Left fielder Justin Upton has left Atlanta's game against Philadelphia with bruised left triceps. CINCINNATI -- When they enter University of Phoenix Stadium on Sunday night, the Cincinnati Bengals ought to be a little closer to having a full playing roster than it appeared earlier this week. Maybe its a matter of sympathy for a team that lost much of its rotation to the surgeon before a pitch had been thrown. Maybe its because we all love prospects, and indulge them their shortcomings while anticipating their glorious futures. METS (37-45, fourth place/NL East) vs. ATLANTA BRAVES (44-38, first place/NL East)Monday: RHP Zack Wheeler (3-8, 4.45) vs. LHP Alex Wood (6-6, 3.07), 7:10 p.
Braves left fielder Justin Upton is not starting against the Cubs as he recovers from a lower back muscle bruise.